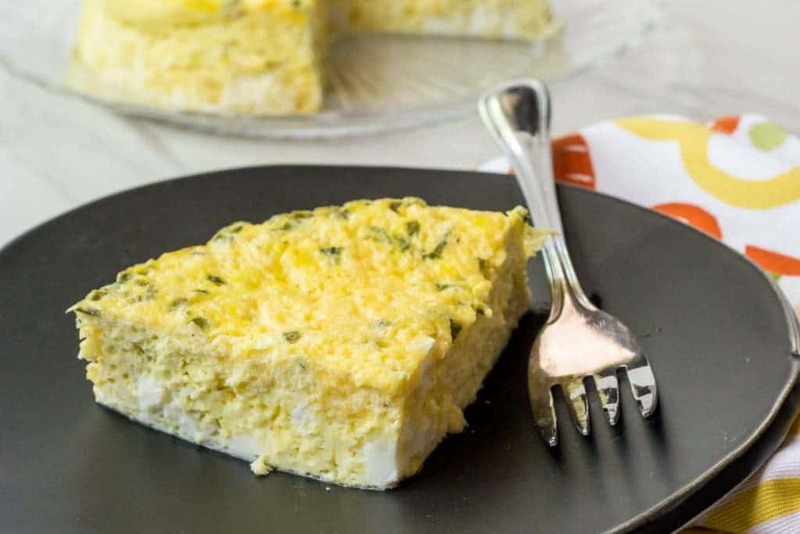 Instant pot quiche is your new favorite way to cook eggs! You’ll fall in love with this simple way of cooking. Have you jumped on the electric pressure cooker train yet? This trend is suddenly all the rage again, and I have fully embraced it! 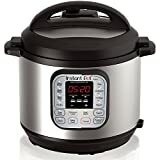 A few friends and I all bought our Instant Pot pressure cookers at the same time, and we’ve spent many hours exchanging our experiences. One of my friends is even taking it on the road as she and her family travel the country in their RV. We’ve made everything from beans to beets to BBQ chicken, but I wanted to experiment a little more. I had seen some ways to cook eggs in a pressure cooker, but since I don’t eat hard-boiled eggs I was most excited about the possibility of a quiche. I love quiche because there’s so many ways to make it different with add-ins (this pizza quiche recipe of mine is a favorite), so Instant Pot Quiche was a great idea for my next recipe. You’ll see that this isn’t a traditional quiche because there is no crust, so it’s more like a frittata. I kept the ingredients simple with just cheddar cheese and chives, but feel free to add meat or chopped cooked veggies, if you like. Quiches and frittatas are great “refrigerator velcro;” you can add bits of any leftover roasted veggies, lone slices of ham or bacon, and any mixture of cheese that you happen to have on hand. 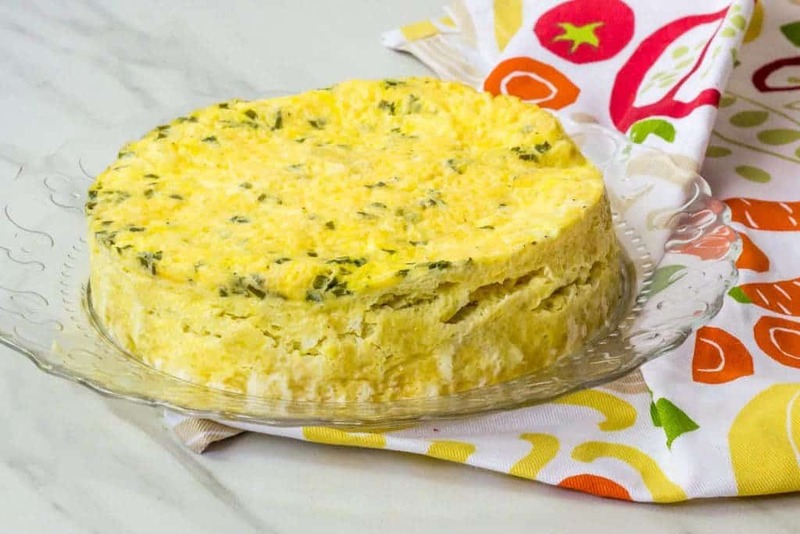 Try adding some of the same flavors as in my Butternut Cheddar Frittata, for example. 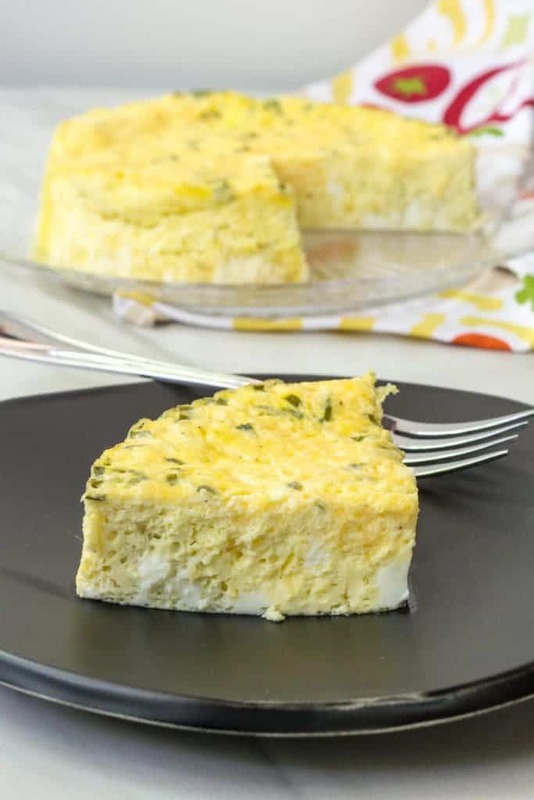 what pan is used to make instant pot quiche? Unlike making beans or soup, you can’t cook Instant Pot Quiche directly in your pressure cooker pot. You’ll need to cook it in a pan that you place inside the pot. 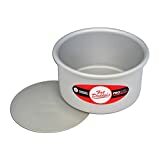 I used a small cake pan with a removable bottom instead of a ramekin or pie plate. This makes it easy to remove the quiche from the pan for slicing and serving. Plus, it was just the right size for fitting into my pot! Make sure you choose the correct size for your pressure cooker. A 6- or 7-inch pan is perfect for mine. easy to find on Amazon. You can make a sling out of foil, or, because you need to wrap the bottom of the pan in foil anyway, make that piece bigger and use the overhang corners to pull the pan out. If you can whisk ingredients together, you can make Instant Pot Quiche! 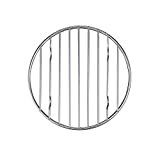 Start by placing your trivet in the bottom of your pressure cooker and pouring in a cup of water. If you’re cooking your Instant Pot Quiche in a pan with a removable bottom, like I did, you’ll need to tightly wrap the bottom and sides of the pan with aluminum foil. If you are using a pie plate or large ramekin you can skip this step, but make sure to make a foil sling so you can remove the pan from the pressure cooker later. From there, whisk together the eggs, milk, and any seasonings or herbs you want to add. Pour this mixture over any cheese or other mix-ins you like in the prepared pan, and then place the pan on the trivet in the pressure cooker. Close it up, set it to cook for 30 minutes on high pressure, and wait! Once the Instant Pot Quiche is done cooking, wait 10 minutes before releasing the pressure and removing the pan from the cooker. Working with an electric pressure cooker can seem daunting, but it’s actually quite easy. And because it’s hands off, you’re free to cook up some bacon, slice fruit, or even bake some Cherry Walnut Scones while your pressure cooker breakfast cooks. Or just sit and sip your coffee while you wait. I know sometimes that’s all I can manage. This Instant Pot Quiche is also good the next day, so you could make it at night, store it in the fridge, and have breakfast ready in the morning. What’s easier than that? If you’re looking for more pressure cooker breakfast recipes, try my Bacon and Egg Risotto. My friend Stephie has also made Instant Pot Persimmon Butter, which would be delightful on toast. Love this! I am getting an Instant Pot, so I am collecting recipes for it and quiche never occurred to me. Is the ratio for your custard IP specific, or is it the one you prefer for all quiches? @Jenner I’d have to check but I’m pretty sure I normally add more milk/cream. Because you’re essentially steaming the quiche you need less liquid in the custard.